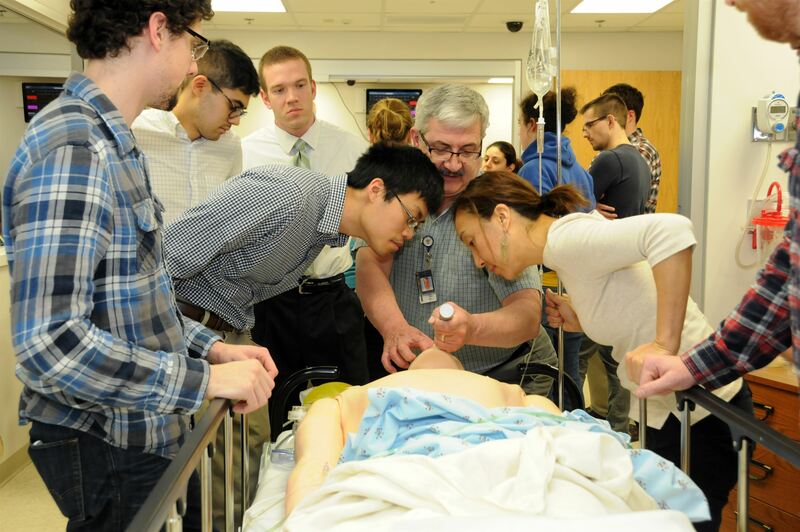 The West Virginia University School of Medicine’s medical degree program received a full, unconditional, eight-year reaccreditation by the Liaison Committee for Medical Education (LCME), meeting the more than 125 required standards. “Reaccreditation confirms what we already know: that our students are well prepared when they graduate from our program and that our institution provides an exceptional education,” said Clay Marsh, M.D., vice president and executive dean of health sciences. The LCME is jointly sponsored by the Association of American Medical Colleges (AAMC) and the Council on Medical Education of the American Medical Association (AMA). The committee evaluates schools for accreditation every eight years to ensure that students receive appropriate education and skills to advance to the next phase of physician training. Norman Ferrari, M.D., vice dean for education and academic affairs and chair of the WVU Department of Medical Education, said preparing for the accreditation committee requires a unified effort across the Health Sciences Center. significantly enhancing infrastructure for clinical and translational research. The LCME committee also commented on the strength of WVU’s commitment to its mission of addressing the healthcare needs of West Virginia. Dr. Marsh said the LCME’s standards for accreditation are constantly evolving and that WVU is on-task and prepared for the challenge. In fact, since the creation of the accreditation board, WVU has remained consistently accredited. For more information on the WVU School of Medicine, visit medicine.hsc.wvu.edu.